Presidents of the University of Wisconsin System Board of Regents, from 1971 to today. 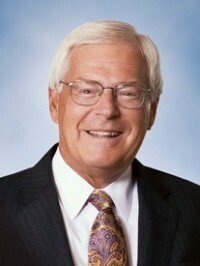 Bob Atwell is the founding CEO of Nicolet National Bank. He has 34 years of experience as a Wisconsin banker. He is a graduate of Beloit College (’80) and the Yale School of Management (’83). Atwell is Lead Director for the Ariens Company Board, and serves on the boards of Hospital Sisters Health System, Great Northern Corporation, Saris Cycling Group, and Promotion Management, Inc. (PMI). He is past chairman and one of the founders of Relevant Radio, a national Catholic radio network. He is a frequent speaker on leadership and community banking, as well as ethics, faith and economics. John Robert Behling is the first Board of Regents President from the Chippewa Valley area, where he is an attorney with the Eau Claire law firm Weld Riley, S.C. At the firm, Behling serves as the firm’s Vice President and chairs Weld Riley’s government and administrative law practice. Behling previously served as an aide to Governor Tommy Thompson in both Washington, D.C., and Madison, Wisconsin, serving as the Governor’s policy advisor on labor, employment and regulatory issues. He also served in the state’s Department of Commerce. Behling is a member of the Eau Claire Chamber of Commerce. His previous board service includes the Sacred Heart Hospital Foundation; Angel on My Shoulder, a statewide cancer support foundation; the Wisconsin 4-H Foundation Board; the Wisconsin Equal Justice Fund; the Northwest Passage Foundation; and the Wisconsin State Fair Park Youth Foundation. Behling graduated from the University of Wisconsin-River Falls with a bachelor of science degree in political science and economics. He received his law degree from the University of Wisconsin Law School. 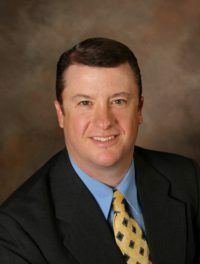 Scott Beightol, a partner with the Michael Best law firm, has over 30 years’ experience with businesses, owners, and boards of directors who look to Scott as their outside general counsel to ensure legal compliance of their operations and initiatives. Trained as a trial lawyer and advocate, Scott also manages litigation and contested matters for clients in federal and state courts and administrative agencies across the country, with particular focus on employment and trade secret/non-compete matters. Scott’s abilities and professionalism have been observed and recognized by clients, peers, and judges alike. The Business Journals recognized him as a most notable attorney among 100 in the nation who are making an impact on businesses and communities. Chambers USA has rated Scott a leader in Labor and Employment Law since 2008, as has The Best Lawyers in America. Scott has also been named one of the “100 Most Powerful Employment Lawyers” since 2011 by Human Resources Executive. Scott is a member of the US Chamber of Commerce National Public Affairs Committee; a board member of The Water Council; a board member of the United Performing Arts Council; and a Vice Chair and board member of the Metropolitan Milwaukee Association of Commerce. In the past Scott was a director of the Milwaukee Public Museum and an elected Trustee of the Village of Whitefish Bay. Scott is a graduate of the College of the Holy Cross (1985), and the University of Wisconsin Law School (1988) where he was the Senior Note and Comment Editor of the Wisconsin Law Review. José Delgado oversaw the creation of American Transmission Company (ATC), the first multi-state transmission-only utility in the U.S., serving initially as President and Chief Executive Officer, and later as Executive Chairman of the Board. He retired from ATC in 2010. Delgado previously spent 27 years at Wisconsin Electric Power Co., now We Energies, beginning as an electrical engineer and eventually serving as Vice President of Electric System Operations. 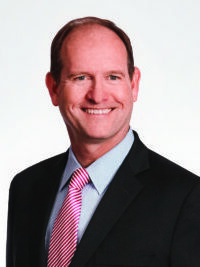 He has been a member of many boards, committees, and task forces, including the UW-Milwaukee Chancellor’s Council of Corporate Sponsors and the School of Business Advisory Council. Delgado earned a bachelor’s degree and a master’s degree in electrical engineering from Marquette University, as well as a master’s degree in business administration from UW-Milwaukee. 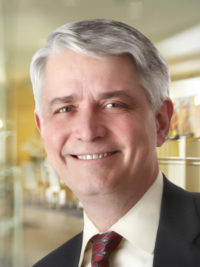 Michael M. Grebe is the Chief Legal Officer for Aurora Health Care, the largest integrated health care system in Wisconsin. Prior to joining Aurora, Grebe served as executive vice president and general counsel for HUSCO International, Inc., and as a partner and Executive Committee member at Quarles & Brady, providing services in business law, mergers and acquisitions, and corporate governance. He has also served on the boards of various organizations, including Columbia St. Mary’s Hospital, the Milwaukee Chamber Theatre, the University School of Milwaukee, and the Zoological Society of Milwaukee. A Wisconsin native, Grebe graduated from Dartmouth College and earned his law degree from the University of Wisconsin Law School. 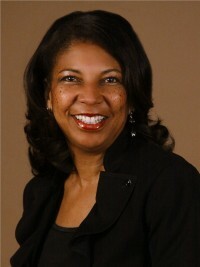 Dr. Eve M. Hall serves as the President and CEO of the Milwaukee Urban League. She is a native of Milwaukee, with work experiences in Wisconsin, Florida, and Washington, D.C. Previously, she served as the President/CEO of the African American Chamber of Commerce of Milwaukee, where she led the renewal of the organization. Hall also served as Chief Innovation Officer for the Thurgood Marshall College Fund, where she spent ten years in various national leadership roles impacting students and university/school district partnerships in several states. Other past leadership roles include Vice President of Public Affairs for Family Service of Milwaukee; Milwaukee Public Schools School to Work Administrator, reporting to the Superintendent; and Director of Governor Tommy Thompson’s Milwaukee Office. Hall is the cofounder of the African American Women’s Project Fund, created in 1999 and designed to provide support to organizations supporting the well-being of women and girls. The over-$200,000 fund is held in the Women’s Fund of Greater Milwaukee. She earned a B.S. degree in educational psychology from Florida A&M University, a M.S. in administrative leadership from the University of Wisconsin-Milwaukee, and a doctorate in educational leadership from Cardinal Stritch University. 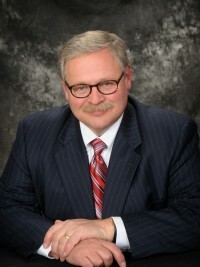 Mike Jones is Of Counsel with the Michael Best law firm in Milwaukee. He joined the firm in January 2013 after working in a variety of positions at Miller Brewing Company and MillerCoors. Jones joined Miller full time as an attorney in 1984 and went on to serve as senior vice president, general counsel secretary, and a member of the board of directors of Miller Brewing Company. In 2008, he was appointed vice president of corporate affairs for MillerCoors, from which he retired in 2012. Jones is involved in a number of community and civic organizations, including St. Charles Youth and Family Services Inc. (Board Director), the Milwaukee Academy of Science (Chairman), Black Arts Think Tank (Board Director) and the Wisconsin Club (Board Chair). Jones earned a Bachelor of Arts degree from the University of Wisconsin-Madison in 1981 and a Juris Doctorate from Marquette University in 1984. 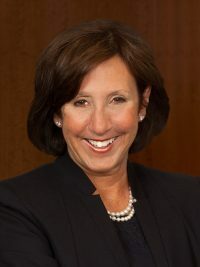 Tracey L. Klein is an attorney and shareholder with the national law firm of Polsinelli. Klein has served as general counsel to acute care hospitals, multi-provider health care systems, multi-specialty clinics, managed care companies and health insurance companies for more than 30 years. She has experience in regional and national transactions involving health care providers and health insurance companies. Klein is Board Chair of Milwaukee Film and a member of the Greater Milwaukee Committee. She served as a member of the Board of Visitors of the UW-Madison Political Science Department from 2010 to April 2016 and is also a past member of the advisory board for the College of Health Sciences at UW-Milwaukee. 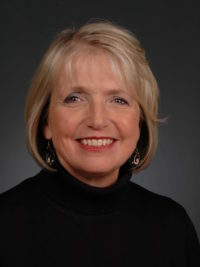 Klein graduated from UW-Madison in 1980 with a Bachelor of Arts degree in Political Science and received her law degree from Marquette University Law School in 1984. Regina Millner’s career as a lawyer, consultant, appraiser, and broker in commercial real estate spans more than 30 years. During these years, she founded two consulting companies and worked with public and private sector clients on a variety of complex real estate projects. Millner earned a Juris Doctor from the University of Wisconsin Law School, Master of Science in Real Estate and Urban Land Economics from the UW-Madison School of Business, and Bachelor of Science in Education from the University of Nebraska-Lincoln. Millner has served in leadership positions on the boards of several for-profit corporations. Her involvement with UW Madison includes past board chair of the Wisconsin Alumni Association, UW-Madison Athletic Board, Wisconsin Real Estate Alumni Association, Chazen Art Museum Council, and Chancellor’s Advisory Board. Active in the Madison community, she served on the boards of Meriter Hospital and Health Services (chair); Wisconsin Chamber Orchestra (president); Downtown Madison, Inc. (chair); Madison Children’s Museum (chair); Madison Symphony Orchestra; YWCA; and Rotary Club of Madison (president). 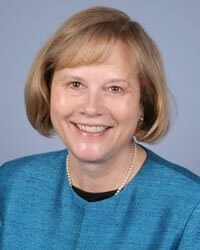 Janice Mueller served the state of Wisconsin for almost 35 years, including directing the work of the nonpartisan Legislative Audit Bureau as Wisconsin State Auditor from 1998 to 2011. Prior to her appointment as State Auditor, she served in various roles at the Legislative Audit Bureau, as a fiscal analyst at the Legislative Fiscal Bureau, and as an assistant to the director of the state’s Medical Assistance program. Mueller has also contributed to many national, state, and local professional organizations. Mueller earned her Bachelor of Arts degree from Central Michigan University and completed a management and leadership skills development program from the Legislative Staff Management Institute at the University of Minnesota Hubert H. Humphrey Institute of Public Affairs. Andrew “Drew” Petersen currently serves as Senior Vice President-Corporate Affairs for TDS Telecom (TDS), the seventh largest wireline telecommunications company in the United States, with headquarters in Madison, Wis. Petersen directs the nationwide legislative, regulatory, legal, business development, corporate communications and compliance operations for TDS. He also serves as the chief corporate spokesperson for TDS. Petersen is active in the civic community of Madison and the state of Wisconsin. 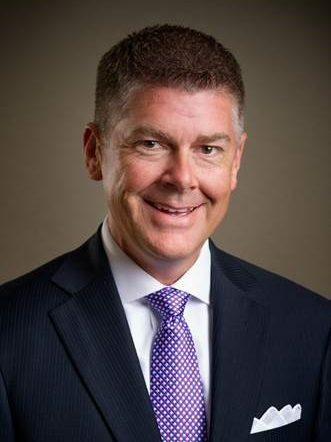 His professional and community leadership includes serving as an at-large member of the American Cable Association Board of Directors and Director for Park Bank, the longest serving community bank and financial institution in Madison, Wisconsin. He is past president of the Wisconsin Technical College System Board of Directors, the Madison Club and the Wisconsin State Telecommunications Association Board of Directors. Petersen earned his Masters of Business Administration from the University of Wisconsin-Madison and Bachelor of Arts degree in History and Leadership Studies from Ripon College in Ripon, Wisconsin. He and his wife, Laura Imhoff Petersen, and their children live in the Town of Middleton. Cris Peterson is a dairy farmer and writer from Grantsburg, Wisconsin. Born and raised in Minneapolis, Minnesota, she earned a B.S. in Education from the University of Minnesota before marrying her husband, Gary, and moving to the farm. In partnership with their son, Ben, they have operated Four Cubs Farm near Grantsburg for the past 45 years. They milk 1000 cows with 16 robots. The farm has been in the Peterson family since 1877. Peterson has written twelve books for children. She also wrote a nationally syndicated newspaper column on literacy for Universal Press for eight years. An overriding theme of all her work involves proactively promoting agriculture and working to overcome public misperceptions about how food is produced. 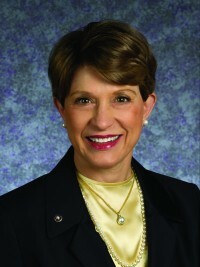 Peterson has chaired Wisconsin’s Dairy 2020 Council, has served on the Wisconsin Dairy Business Association board, the International Dairy Foods Association advisory board, and was named the 2004 National Dairywoman of the Year. Currently she serves on Burnett Dairy Cooperative’s board of directors, is president of Grantsburg’s scholarship foundation, and is treasurer of Grantsburg Revitalization Operation, working to develop strategies to revitalize her community. Jason Plante, of Eau Claire, is Vice President and one of five partners at Market & Johnson. Market & Johnson is one of Wisconsin’s largest and most respected General Contractors having served the state since 1948. The firm operates offices in Eau Claire, La Crosse, and Oakdale, MN, but provides services throughout the United States. 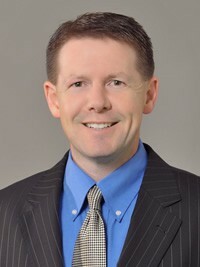 Plante is an active member of the community, having served in leadership roles of organizations such as Big Brothers Big Sisters, Friends of Sacred Heart Hospital, and Eau Claire Chamber of Commerce, as well as industry organizations such as Momentum West, Eau Claire Economic Development Corporation, and others. Plante earned his bachelor’s degree at University of Wisconsin – Eau Claire. 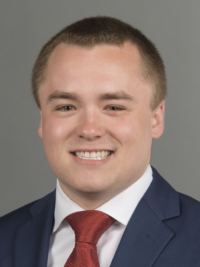 Ryan L. Ring is a student at UW-Eau Claire, where he is pursuing a bachelor’s degree in Finance and Political Science. On campus he has been active in student government, Campus Ambassadors, and as a member of Delta Tau Delta Fraternity. Ring served on the UW-Eau Claire Student Senate for two years. 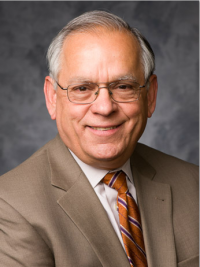 He has served on many commissions and committees, including Finance, Information Technology, Intergovernmental Affairs, and Student Office of Sustainability. He also regularly volunteers at the Bolton Refuge House in Eau Claire, which provides assistance to survivors of domestic violence and sexual assault. After graduation, Ring hopes to become a Chartered Financial Analyst (CFA). Ring is a native of Green Bay, Wisconsin where he graduated from Bay Port High School in 2015. 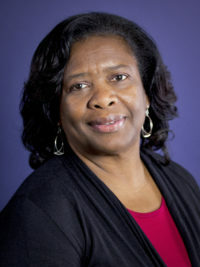 Carolyn Stanford Taylor was named Wisconsin State Superintendent of Public Instruction in January of 2019. With almost four decades of public education experience, she has been dedicated to the education of our next generation and ensuring all children have an opportunity to access a quality education. Stanford Taylor is the first African-American state superintendent in Wisconsin history. As Wisconsin’s chief state school officer and leader of the Wisconsin Department of Public Instruction, she is committed to building on the vision of “Every Child a Graduate, College and Career Ready,” and advancing educational equity. Stanford Taylor attended the University of Wisconsin-Madison and received her bachelor’s and master’s degrees. She served as a classroom teacher and principal in the Madison Metropolitan School District for over twenty years. In 2001, Stanford Taylor joined the DPI serving as the assistant state superintendent for the Division for Learning Support, a position she held for over seventeen years. She and her husband, Larry, have five children; all are public school graduates, and one is a public school principal in Madison. Her work with and for children extends beyond her professional career through service with her church and the community. Torrey G. Tiedeman is a student at UW-Madison, where he is pursuing B.S. degrees in Economics, Political Science, Legal Studies, as well as a certificate in Archaeology. He is a co-president of the UW-Madison Club Tennis team, and has been active in the University’s chapter of Student Veterans of America (SVA UW-Madison, previously known as V.E.T.S. – Veterans, Educators, and Traditional Students), formerly as their Transition Director and later Vice President, as well as the Alexander Hamilton Society (a student non-partisan, non-profit foreign policy analysis and discussion organization), formerly as a program coordinator. Tiedeman was born in Janesville, Wisconsin, and graduated from Century High School in Rochester, Minnesota. Prior to the beginning of his undergraduate studies in fall of 2015, Tiedeman served as an infantryman in the United States Marine Corps from September of 2011 until his honorable discharge from active duty in June of 2015 with the rank of Sergeant. After graduation, Tiedeman hopes to attend law school. S. Mark Tyler is founder and president of OEM Fabricators, Inc., a growing contract manufacturer in western Wisconsin. Tyler began his career with a Design Technology Degree from St. Paul TVI in Minnesota. In 2005, he participated in the University of Minnesota’s Minnesota Executive Program, and in May of 2011, he received his MBA from the University of St. Thomas. Tyler is president of the Wisconsin Technical College System Board and chair of the Governor’s Council on Workforce Investment. 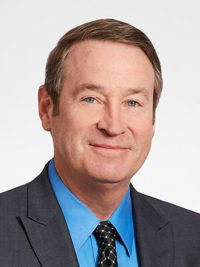 Other boards and councils on which he has served include: Wisconsin Manufacturers and Commerce; West Central Wisconsin Workforce Development Board; Manufacturing Works/Gold Collar Careers; Engineered Propulsion Systems, Inc.; Family Resource Center St. Croix Valley; Success by Six; and the Wisconsin Technology Council. Tyler has been honored with numerous awards, including the FRCSCV 2014 Volunteer of the Year; 2013 Association for Career and Technical Education, Region 3, Award of Excellence; the Wisconsin Department of Public Instruction’s 2012 Business Friend of Education Award; and the 2007 CL Greiber Award from the Wisconsin Association for Career and Technical Education. OEM Fabricators received honors for Wisconsin Manufacturer of the Year in 2006 and 2012. Gerald Whitburn is the retired Chairman and CEO of Church Mutual Insurance Company in Merrill, Wisconsin, the nation’s leading insurer of Houses of Worship. He is past Chairman of the Property Casualty Insurers of America, the industry’s largest trade association. Earlier in his career he served as Labor Secretary in Wisconsin and Secretary of Health and Human Services in both Wisconsin and Massachusetts, and he worked for six years in the United States Senate. A native of Merrill, Wisconsin, Whitburn received his bachelor’s degree in Political Science and History from UW-Oshkosh and Master of Arts degree in Political Science from UW-Madison. He has also studied management at the Kennedy School and the Business School at Harvard and at the Wharton School of Business at the University of Pennsylvania. Whitburn also serves on the board of the River Valley Bank.